But now I'm done with all that. For a long time, I believed in the admissions process. I thought that I could use my position to help regular smart people with great test scores and impressive extracurriculars break into an elitist system. After eight years, though, I've learned that modest goal is more or less unreachable. Ivy League admissions are a complete racket, rigged in favor of the privileged and completely impervious to change. So I'm quitting the business. And because I'm quitting, that means I can tell you, the reader, all the secrets of being a Harvard admissions representative, and what it really takes to get in. But first, I'm going to tell you a bit about why I wanted to be an admissions representative for my alma mater, and what that job entailed. I signed up for the job because it felt like the best way to give back to an institution that had given me quite a lot. I'm from the rural West. My father was a postal worker; my mom stayed at home. 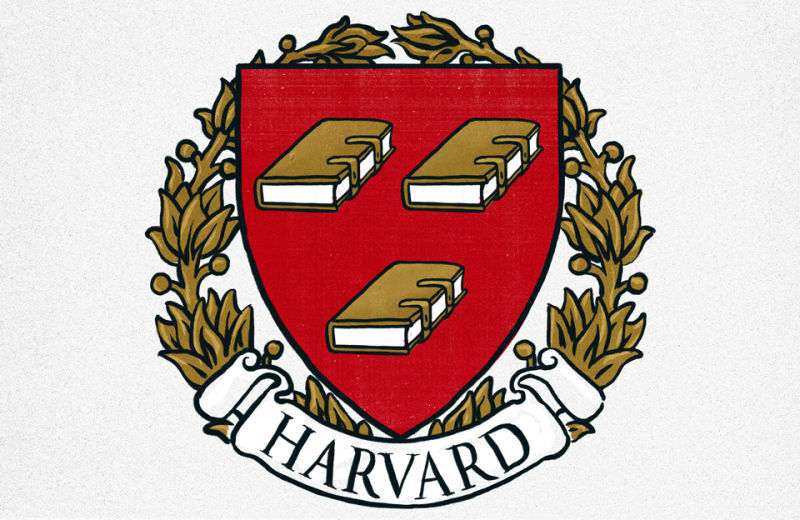 Thanks to the Common App and a little bit of urging from my parents, I applied to Harvard—and got in. And so I had a mission in signing up for all of this: I wanted to help students like me find their way into the Ivy League. In my years working in admissions, I met with prospective students from all over the place. Technically, we're supposed to make these kids come to wherever is convenient for us to do their interview. But since I don't have a fancy office or house, and I don't want to place a huge travel burden on them, I tried to meet them someplace mutually convenient. I convened with prospective students in seemingly neutral territories: in high school cafeterias on the South Side of Chicago and in Gary, Indiana; in Starbucks in wealthy suburbs like Shaker Heights, Ohio and Bellevue, Washington. Once I even met a prospective in the boardroom of his father's company in a downtown Portland skyscraper (though that was his dad's idea, not his own). That also means I paid for my own travel costs (gas, parking, etc. ), and I usually picked up their coffee or tea as well. Typically, the expense of being an admissions representative was no more than $200 every year, but still—that's more than I spend on renter's insurance. Every winter, after meeting with students, reading over their admissions packets, and reviewing their test scores and transcripts, I've finally—most importantly—sent a recommendation to the full Admissions Committee as to whether to admit or reject them. I'm not the one who makes the ultimate decision to open the doors of upward mobility to these teenage hopefuls—or to slam those doors shut in their face—but I have been complicit in the process nonetheless. What is it that I have looked for in prospective students, you may ask? Well, as the Harvard Interviewer Handbook rather sniffily puts it, "part of the general public believes 'best' ought to be defined by standardized tests, grades, and class rank." The admissions committee, however, "holds a more expansive view of excellence," and uses us to help discern excellence in forms that might not be so apparent on paper. White female, suburban private school. 4.0 GPA (unweighted), 95th percentile SATs, three AP tests, two SAT IIs. Interested in community service, photography, travel. Excellent letters of recommendation from her teachers and pastor. Legacy, both parents. White male, urban private school. 4.8 GPA (weighted), 92nd percentile SATs, four AP tests, two SAT IIs. Interested in creative writing, entrepreneurship, community service. All-State Debate Society. Glowing letters from his choir director and the school principal. White female, suburban boarding school. 3.9 GPA (unweighted), 92nd percentile SATs, three APs, three SAT IIs. Interested in social justice, travel, painting. National Merit Scholar. Great letters from her resident tutor and teachers. Legacy, one parent. White male, suburban public school. 4.25 GPA (weighted), 96th percentile SATs, two APs, three SAT IIs. Interested in entrepreneurship, community service, creative writing. Superb letters from the local Humane Society director and teachers. Every year there are a few literally perfect standouts, whose stats alone are so good that no interview will keep them from acceptance: 2400 SAT I, three 800 SAT IIs, at least two 5 APs, 4.0 GPA, and the usual signs of non-academic life. The mass of more traditionally excellent humanity, however, has had to go through people like me. (And for the record: applicants 1 and 2 got in; the rest were rejected). Every single applicant to Harvard is supposed to get an interview. My most recent regional committee had about a hundred active interviewers for three hundred applicants every year. The others where I worked have had closer to two hundred interviewers for nearly a thousand applicants. So everyone could expect between three to six interviews per person per year, split between the fall (early action) and winter (regular applications). Each of these interviews lasted for about an hour of in-person time. To prep, I would contact the applicant for their basic info: GPA, test scores, and any additional material they want to send. Most people sent me a resume and a sample application essay or two. Toward the end of my tenure, I also started to see more exotic types of supplements: headshots, scripts and short stories, musical recordings. The end goal of each interview was to rate the prospective in each of three areas: academics, extracurriculars, and personal qualities, plus an overall rating to judge the candidate's overall "suitability for admission." These ratings were "absolutely superior," "strong candidate," "acceptable but perhaps not competitive," or "not recommended." But distilling a developing young mind into four numbers was an impossibly cruel task. And an increasingly difficult one. They were there to be evaluated for one of the most important opportunities of their lives. How could you possibly hope to get at the genuine person when there's so much pressure? Which is why the interview process has devolved into more of a pageant. First, in the purest sense. Seven years ago, most students would opt to wear something dressy but tasteful to the interview. In the last two years, though, I've seen the entire spectrum of fashion paraded in front of me. From the students who opt for shutter shades and muscle T's to the ones who wear bow ties and (exactly once) Louboutin pumps. You get the idea. The only thing that told me was that either everyone under 18 reads New York Times Op-Eds and The Atlantic cover stories religiously, or—much more likely—that they were coached by someone who actually did. There were other red flags to look out for, too. How they sat straight up when it was time for the open-ended questions. How their eyes glazed over and they looked right past you once they started to recite their canned answers. How their outrage, their compassion, their conspiratorial asides seemed just a bit too…performative. At my day job, I've interviewed mid-career professionals who struggle with interview questions more than these high schoolers generally do. And I'm sure there are a few teenagers who really are that self-possessed. Sometimes I think about my own application process. Would I have gotten into Harvard today? The only thing I remember about it, especially the interview, was an all-consuming anxiety, a paralyzing sense of doubt, and most of all, the desire to please the unknowable masters of my future. I recall talking about watching Star Trek and selling hot dogs and nachos at the concessions stand during high school basketball games. At times, I babbled for minutes on end (I'm a bit of a nervous talker) and I know I cut off my interviewer more than once. I'm not sure whether I would have written a nice report if I had been on the other side of the table. To be fair, the interview is not much more than an in-person version of the application essay. It's meant to be a relatively quick, standardized way to assess a candidate's personality—an emotional biopsy, if you like. And as with any other foray into the teenage personality (especially one done by volunteers in non-laboratory conditions), it's more an art than a science. The thing is that these personality tests won't even matter for the majority of candidates. If your scores aren't good enough, you could write like James Baldwin and interview like Richard Nixon and still not get a second look from the Admissions Committee in Byerly Hall—the ones with the real admit/reject power. Conversely, if you are a pre-Nobel laureate, you could talk only about last week's New Girl and not endanger your place in the next class. For the few hundred or so in the middle, you have to take a calculated risk, and you have one of two places to do it: in the essay, or in the interview. One of the least helpful pieces of non-advice that you will get about interviewing or essay-writing is this: "be yourself." This is stupid and wrong. The "self" of the average 18-year-old comes out the best in things like GPAs and SATs and extracurricular tests: it's easiest to measure how sharp someone is, how quickly they will respond to new ideas, and how much of a work ethic they have in calculated, standardized measures. But the vast majority of elite school applicants are a long way from becoming a whole, self-actualized person. It's not their fault; only they've never faced real threats to their existence, had people depending on them for food and shelter, or lived in actual poverty for any amount of time. Yet for the last few years, it's felt like the normal, inquisitive, relatively unfiltered teenager of the early 2000's has been replaced by dozens of little Russell Wilsons. Gone are the hard edges and the unintentional flashes of personality that made it seem like I was actually getting something accomplished in the course of (most) of these interviews. Nowadays, I've gotten layers of carefully constructed defenses, designed to reveal only the most admission-friendly parts of the student. Just once I would have loved to get an applicant who called out a stupid, predictable question for being what it is instead of dutifully reciting an impossibly trite, hand-wavingly general answer that cannot apply to all that many people. Someone who didn't sound like Mitt Romney when trying to relate to the challenges faced by people without blue blood. Instead, I've seen a boringly predictable, on-trend parade of general excellence, like eating a dozen cronuts for dinner. It's interesting in the abstract, but the palate needs cleansing after a while. Hearing the liberal-upper-middle-class consensus view of the world (but with a twist, like backpacking through Southeast Asia!) certainly does not hurt an applicant. On the other hand, if I wanted that I would just sit on the toilet and listen to NPR. And now for a little bit of advice. First of all, there are a number of small factors that can move the admissions needle in small amounts: location, economic background, race. You can just accept that these exist and don't really count for much—a slight counterbalance to the general advantages that wealthier folks tend to enjoy as a rule. Or you can spend millions of dollars on lawyers and consultants, and hundreds of hours fighting in court in order to claw back this tiny little potential advantage from those in the lower half of the socioeconomic spectrum. Either way, these are things beyond your control, and I'd recommend not worrying about them. Frankly, it's the cheaper and quicker option. Otherwise, the official party line, as taken verbatim from Harvard's longtime Dean of Admissions, William Fitzsimmons (class of 1963, dean since 1986) is that Harvard selects for "academic excellence, extracurricular distinction, and personal qualities." And that sounds good—who doesn't love excellence?—until you think about it. What Dean Fitzsimmons really means is that he isn't going to tell you anything substantial (that's why he's lasted for so long in his job). So I will tell you that in this context, measuring "academic excellence" really boils down to two things: Will this applicant graduate on time and happy? Pure intelligence is one part, hence the focus on scores and GPAs. Harvard is difficult, and someone who has never seen a differential equation will probably struggle in the basic required math courses; someone who has never read a Steinbeck novel or a Shakespeare play will probably feel excluded from general English Lit. But so is extracurricular activity. You might be smart, but do you have the discipline to keep going for four years? How do you respond to setbacks, challenges, opposition? Do you show signs of life in the wider world? In short: are you of sound mind? The 4.0 student who just works the ball-washing station at the country club does not necessarily demonstrate great time-management skills. On the other hand, we'll take the person who has an A-minus GPA but spends most of her free time in a research lab breeding generations of flies for genetic tests, thank you very much. This is why admissions officers will say "well-rounded" until they're blue in the face. There's nothing wrong with plain old eggheads—but let's try and get out there once in a while, too. And when the committee selects for the mysterious and ephemeral "personal qualities," well, we want to know how much of a jerk the candidate is, and how well they'll respond to a campus full of jerks. Let's be honest: Harvard and its affiliates will inflict some kind of damage (academic, emotional, occasionally physical) on everyone who lingers there. It is a place where everyone is out to get everyone else. In a place where no one can be the best at everything, everyone takes any chance they can get to measure up to their peers. It is a mob of ruthless young overachievers with a taste for blood. Ayn Rand, eat your heart out. Your Objectivist paradise is alive and well, and its name is Harvard. Here, people believe that each of them is a "heroic being," that their individual happiness is a moral absolute, that their own reason is ironclad and incorruptible. Just look at what four years of that does to a person. Never mind the outliers like Mark Zuckerberg and Ted Kaczynski. You just need to look at the offices of Wall Street investment banks (where half of the graduating class of Harvard ends up every year). Or the op-ed pages of New York newspapers. Or the halls of Congress (one shudders at the thought). So, as far as I'm concerned, you may as well start toughening up as soon as you can, because the world isn't going to wait for you. Sometimes this toughness comes through in the application proper. Were you an award-winning debater? Did you write snippy op-eds in the paper? Did you muscle out people with Ph.D.s to get a second author on a scientific paper? Have you had to endure a lifetime of pressure from your legacy parents, warning you that if you don't get in, you'll be disinherited? Congratulations. You're in. But if the force of your pushy little personality fails to shine through in the rest of the application, then I have to try and draw it out in the interview. It's not psychoanalysis by any stretch. I just want to hear that you like certain things and dislike others, that you've run into obstacles and heard the word "no" on occasion. Don't tell me everything is great, because it's not. Don't tell me everything is terrible, because it isn't. And most of all, prove to me that you've spent some time thinking about a big brand-name in education, and what it can do just for you. Then I can give you a strong recommendation. In my admissions tenure, I've learned to understand the process as the soft con that it is. On the one hand, it's utterly opaque and more than a little arbitrary. On the other hand, it has huge consequences for the tens of thousands of young people who get sucked into it every year, and for the multi-billion-dollar institutions that live off of those students' money. And throughout the whole process are the unpaid, underappreciated, probably not impartial people like me, who get to make a lot of questionably appropriate, marginally legal, rational-until-it's-totally-arbitrary decisions. It makes very few people look good, but makes a lot of people pretty rich. I've endured year after year of privileged sameness, with no sign of the non-millionaires whom I wanted to help. Exactly once I was assigned a candidate who came from the lower end of the socioeconomic scale. But his GPA and SAT scores were close to the cutoff for "not recommended," and when I asked him questions—about school, sports, family, TV, whatever—his answers lasted barely five seconds. When I asked him why he wanted to go to Harvard, he shrugged and said, "Dunno." In spite of all that, I made good on this one chance I had been given to help someone who didn't have all the advantages of his applicant peers. I put him in the "acceptable but perhaps not competitive" category and gave him a tentative thumbs-up. Weeks later, when the acceptance lists came out from our region, I didn't see his name. Later, in June, the interviewers from my region got a gentle reminder from my Schools Committee chair: as much as we might like to give a boost to underprivileged (if less-competitive) candidates, it was our job to evaluate, not advocate. Best to leave that sort of adjustment to the professionals. So in the grand scheme of things, I realized I was powerless to say no to those who were only marginally deserving of an Ivy League spot, and completely unequipped to find those who could make the most of a top-shelf education but who never even thought to ask for one. Instead of giving people a boost on the ladder to upward mobility, I felt that I was simply there to make sure the children of the upper class stayed in the virtuous cycle that would keep them in the upper class. And there's no point in staying in a volunteer job that brings you nothing but frustration. True, I could always parlay my "expertise" into a college counseling business. After all, people with thinner credentials than mine do it all the time—why not make a buck myself? But that would be crossing the Rubicon. The point at which you use applicants as sales leads—your "in" to thousands of dollars of their parents' money—is the point at which you can no longer claim any pretense of helping applicants, period. So instead, I'm hanging up my admissions-representative blazer and trying not to make anything actively worse. I hope to succeed. Anonymous is a 2006 graduate of Harvard College.